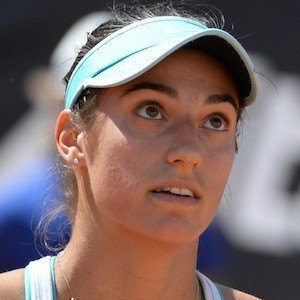 French tennis player who won the French Open doubles, her first major tournament win, in 2016. She first broke into the top 25 of the world singles rankings in 2015. She went pro in 2011 and competed in the Australian and French Opens that same year. She's represented her country at the Fed Cup and Hopman Cup. She was born to Louis and Mary Garcia in Saint-Germain-en-Laye. She and Kristina Mladenovic teamed up to win the French Open doubles competition in 2016.